Use the Cutter tool to trim and cut your artwork. NOTETo learn more about the Cutter tool options, see the Reference guide Cutter Tool Properties. 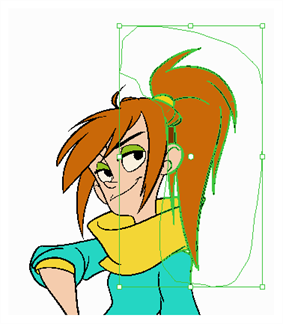 In the Camera or Drawing view, select an area to cut away. To move the selection, drag it to a new area. 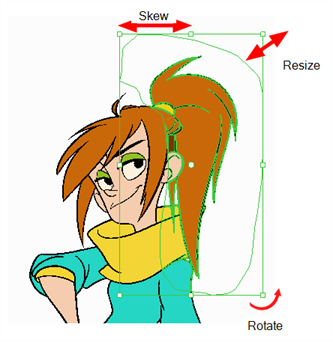 Use the bounding box controls to scale, skew, or rotate the cut piece.